Enter to win $5,000 cash from Eggland's Best or one of 220 instant prizes including fitness trackers, $100 Amazon gift cards, $50 pre-paid gift cards or Eggland's Best eggs! 4 GRAND PRIZE WINNERS! QVC is giving away four $5,000 cash prizes, plus spring-ready prizes to bring your world into bloom. Enter to win a 2020 Ford Mustang EcoBoost Fastback with Performance Package worth $40,000. Enter to win a trip for 4 to Tuscany, Italy - home to the smooth taste of Acqua Panna® Natural Spring Water — plus thousands of other prizes instantly.Instant prizes: (428) $150 VISA gift card; (500) branded canvas tote bag; (500) back-up mobile device charger; (1,500) luggage tag. 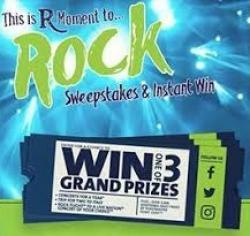 Enter to win a brand new Jeep Wrangler Rubicon or one of 20 other outdoor-inspired prizes to fuel your day-to-day activities and adventures, from Jazz Apples.You don't need to upload a receipt, but you have to agree to receive their emails. HSN is giving one lucky winner $25,000 cash! 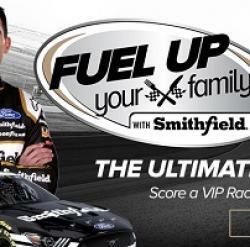 Vote for fast or slow grilling time for a chance to win one of two $500 Walmart gift cards from Smithfield. Enter to win a trip for 4 adults 4 to Las Vegas for 4 days and 3 nights, including airfare and hotel stay OR $4,000 cash option. Hallmark Channel is giving one lucky winner $50,000 to renovate their house, $1,000 in Benjamin Moore paint products, and a trip for 2 to Los Angeles, CA to be featured in an on-air on Home & Family A(RV $56,000).Additional prizes: (30) $500 cash. Enter to win a Bad Boy Mowers Outlaw Rebel Zero Turn Lawn Mower worth $8,999.You could also win win cool daily prizes like the Battle Armor Big Buck Plow, Tactical Backpacks, Bad Boy Signs, Shirts, Hats and other Bad Boy swag, and even mower accessories . Enter to win a 2019 Keystone Passport worth $19,000 plus a $500 KOA Gift Card, a DISH HDTV mobile antenna bundle and a $1,000 cash to help outfit your new rig! Enter to win a Champion 5500Watt dual fuel Portable generator model #100231. Freshen up your outdoor space with this $100,000 cash prize from Veranda! Give your landscape the makeover it deserves, and create your ideal backyard perfect for family time, a quiet respite or festive entertaining. Are you ready to create the abode of your dreams? Give your home a much needed makeover that reflects your unique taste and lifestyle. Enter now for a chance to win $100,000 cash from Elle Decor. Think of all the things you could buy with $100,000 cash from Oprah Magazine! Treat yourself to a getaway filled with luxurious accommodations and relaxing vibes. Enter now for your chance to win to $100,000 from Marie Claire.